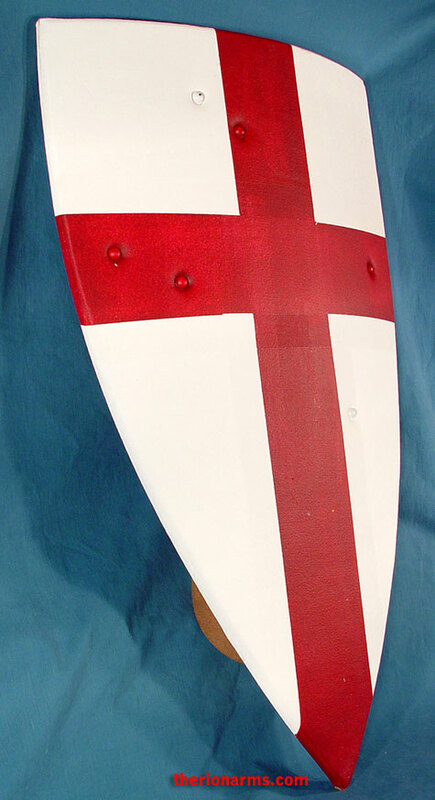 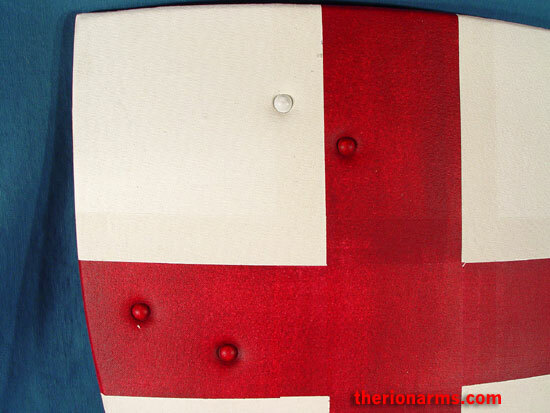 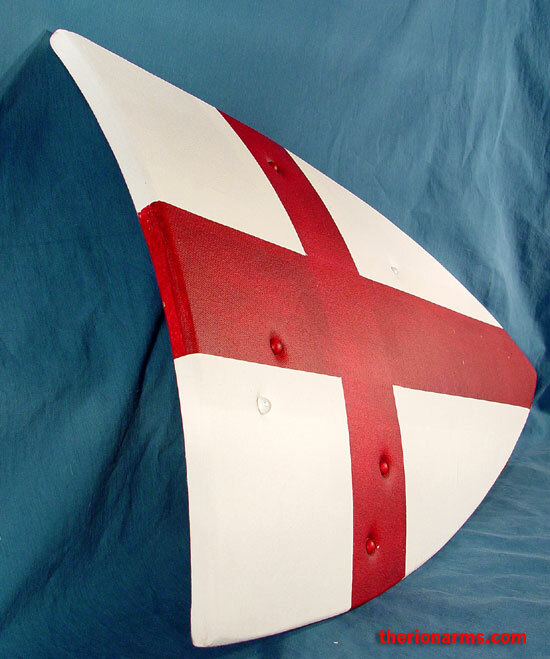 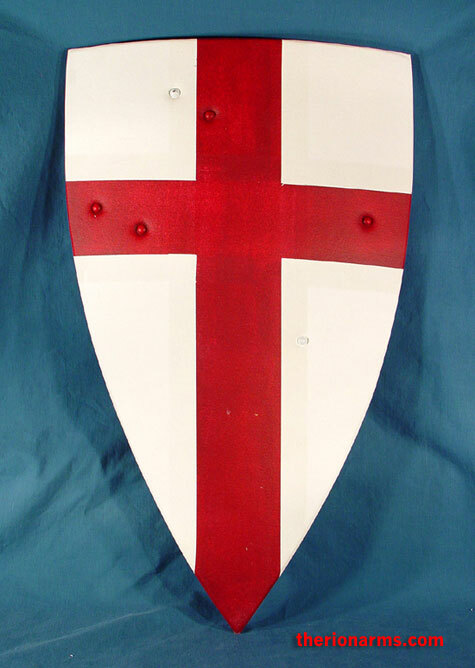 This solid shield measures a full 32" x 20" and is made of curved plywood, covered front and back in white painted canvas with a red enamel cross emblazoned on the front. 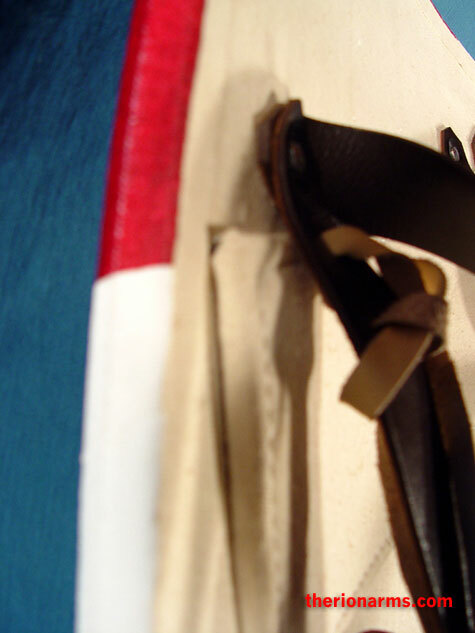 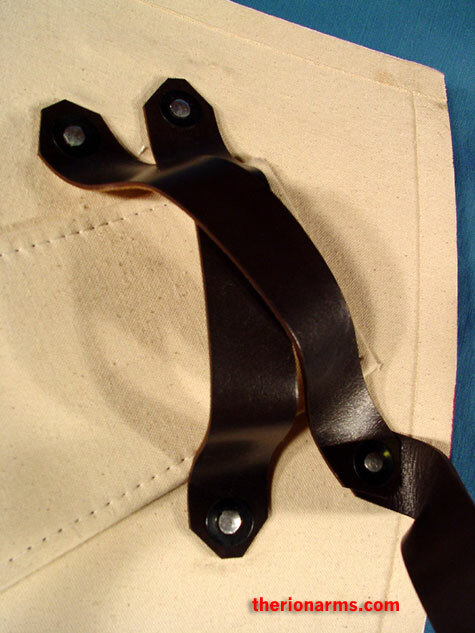 Includes two leather armstraps and a leather guige suspension strap. 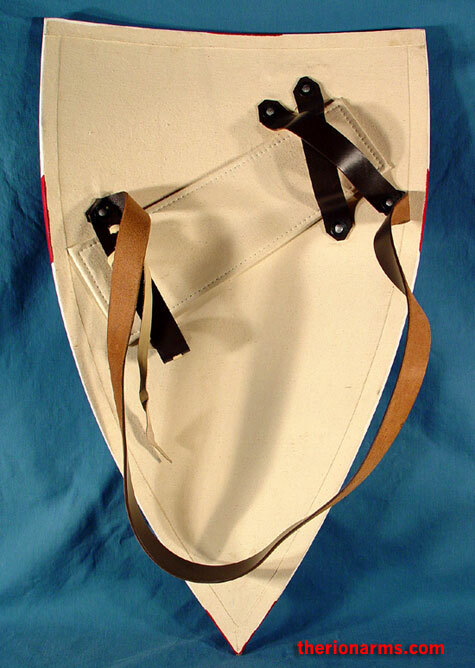 Thickness is 3/4", weight is 6 lb 9.0 oz.